The New York City-based architecture firm DFA Studio recently turned in a proposal for an observation tower made of wood. 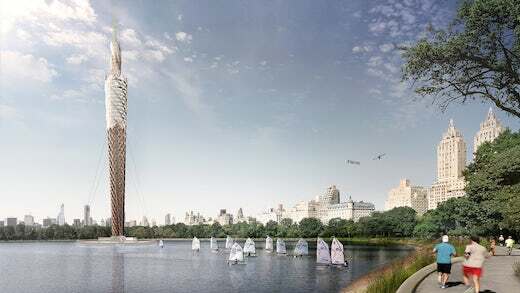 If built, the structure would be the tallest timber tower in the world, and would offer great views of NYC from its location in Central Park. In addition to that, it would also be used to filter the Jacqueline Kennedy Onassis Reservoir in the park, turning it into a freshwater pond which everyone could use.